The Apple Watch Hermès Collection is finally going on sale online for those who have been holding out for the first-gen smartwatch with a leather strap designed by the French fashion house. Announced back in September last year alongside an array of new Apple Watch strap designs, the Hermès Collection has already been available in select Apple Stores and boutiques across nine cities including New York, Paris, London and Tokyo. If you head to the online Apple Store or Hermès Store from 22 January, you'll now be able to take your pick from the three high-fashion, hand-stitched leather bands that unsurprisingly don't come cheap. All of the options in the Hermès Collection are sold as a set with a stainless steel watch case, so you can't grab the straps individually right now. 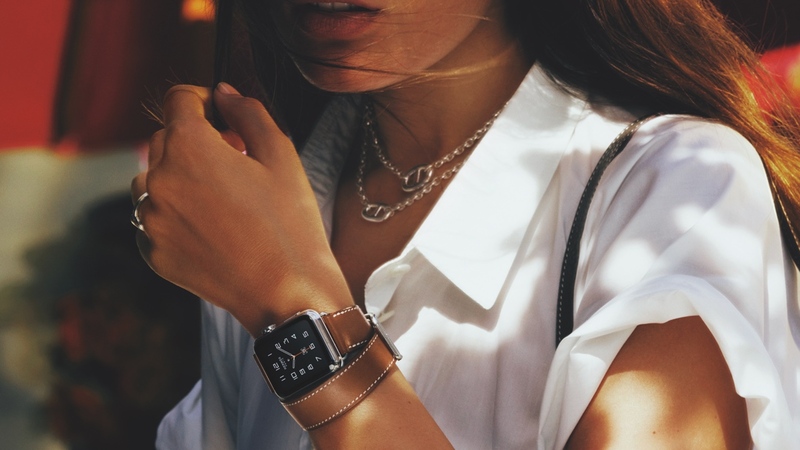 There's no news from Hermes or Apple if that's going to change in the future either. They all come with a custom Hermès watch face that adopts the designer's traditional watch face styling with complication support letting you show off a stopwatch, the date or the world clock. First up is the Single Tour model, which comes in both 38mm and 42mm sizes and is available with either Fauve (brown) or Noir (black) leather straps. You can also grab a 38mm Single Tour with a Capucine (orange) leather band as well. Next is the Double Tour and this Watch includes a longer strap that wraps around the wrist twice for a more bracelet-style look. This is only available for the 38mm model, but you can grab it in four colours including Fauve, Étain (grey), Capucine and Bleu Jean(blue). The Cuff is designed to ensure Apple's heart rate sensor stays in contact with your skin. It's only available with the larger 42mm stainless steel case and a Fauve colour leather strap. For the big spenders out there, the Single Tour prices start from $1,100, moving up to $1,250 for the Double Tour and $1,500 for the Cuff. If you believe the rumours though, the Apple Watch 2 could be just months away, so you might want to hold onto that money for now.